From and black-and-white 8 X 10 print made by William Duncan c. 1960. 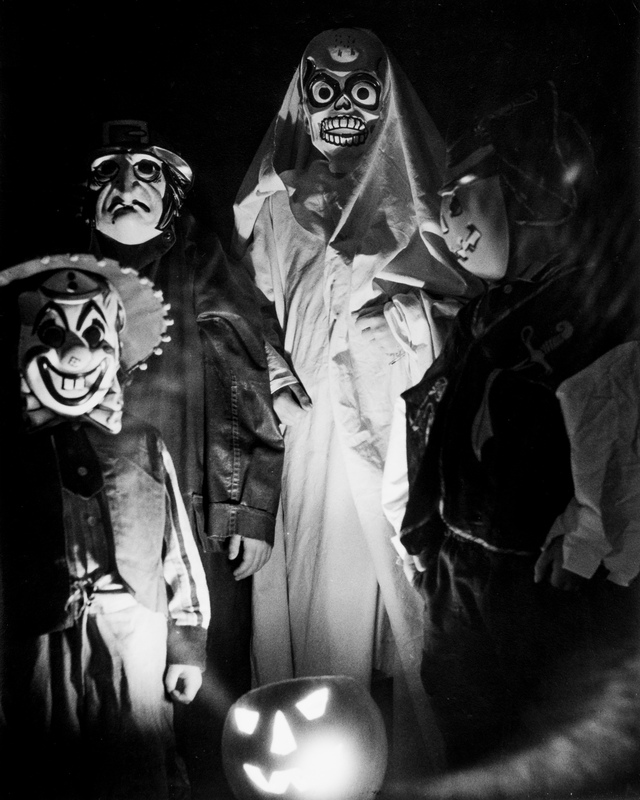 Over 50 years ago my father made this photo of 4 of us dressed up for Halloween. As I recall, our trick-or-treating consisted of visiting the Douglas family home in Hawkeye, NY–there were no other reasonable nearby options but we made out just fine. The photo, shot with my father’s beloved Kodak Retina II A on Plus X film, was developed and printed to an 8X10 in the kitchen/darkroom. If memory serves, a light bulb on an extension cord placed inside the pumpkin provided the spooky light.